Want to shoot your vlog with a camera that contains all the qualities of a DSLR? Then Sony a5100 Vlogging Camera is here for you. With its outstanding video recording resolution and clearer self-portraits, it has become one of the best Vlogging cameras in the recent market. Let’s look at the details features and their benefits of this high spec Vlogging camera. 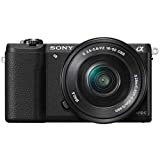 Sony a5100 Mirrorless Digital Camera comes with 24.3 megapixels of optical sensor resolution. It ensures ultimate image quality because of this higher resolution and developed CMOS sensor. Moreover, the camera can perform autofocusing only in 0.07 seconds. Also, this digital camera can perform continuous shooting at 6fps. For dealing with moving the object the camera comes with 179-point autofocusing phase detection sensor. It is applicable to both image and videos. Having all the qualities of typical DSLR cameras this Sony camera has all the qualities being only half of the weight and size. Here you can find interchangeable lenses. Also, you will find E-mount system which is commonly found on DSLRs. Moreover, this Sony a5100 can shoot Full HD videos having a resolution of 1920×1080 in cinematic mode. In addition, it can track moving objects and can capture a still clear picture. You can save this video in different format either in XAVC or AVCHD or MP4. Also, it has HDMI connection facility. With this sony vlogging camera with flip scren , you can perform both video shooting and take selfies. This 3″ sized display allows you to rotate 180 degrees. By which you can shot perfectly framed video selfies. The LCD screen helps to perform your experiment while shooting in different angles. It changes the concept of shooting. Moreover, the 180-degree rotation helps to take self-portraits. Though there is a flash facility for shooting in the low light condition you can also capture great photos using the higher ISO available in this camera. It has an ISO range of 100-25600. This higher ISO is great for shooting in low light condition without using any flash. This will provide you stunning detail and makes your photos look natural. For self-portrait shooting the camera comes with new zoom lever technology. This zoom level helps you to hold the camera just using your one hand. Moreover, this compact camera with interchangeable lenses is great for Vlogging. This one-handed camera is featured with Wi-Fi connectivity. This wifi connectivity ensures that you can control your camera via your tablet or smartphone. You can easily upload and share your photos with your friends while you are on the go with this feature. Also for fast file transfer, you can find NFC connectivity. By on-touch, you can easily send your photos or videos. But all you need is an NFC compatible device to connect the camera. 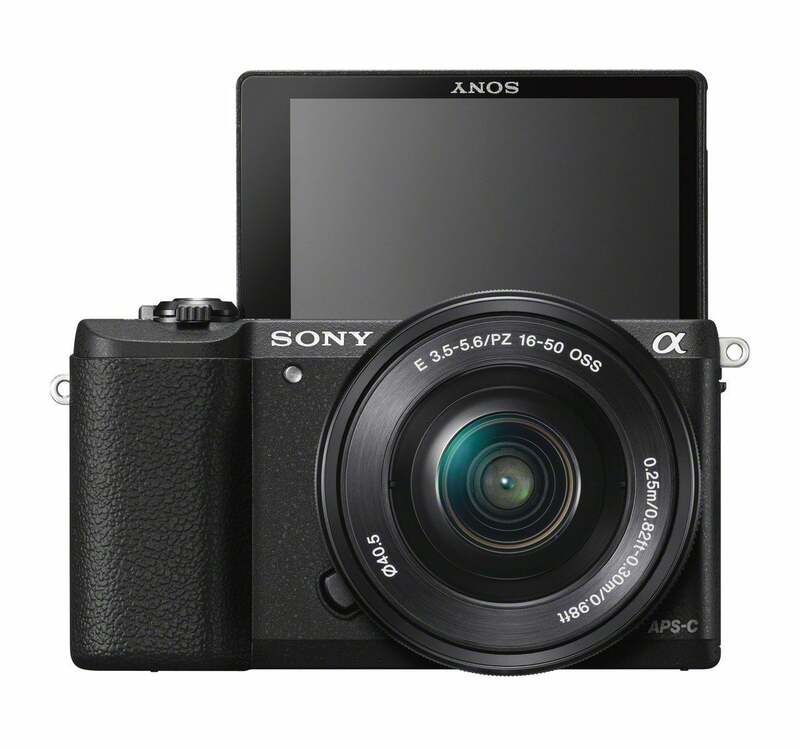 The Sony a5100 camera is empowered with PlayMemories Camera Apps. This helps you to find the perfect shooting style, such as close-shots, motion –shots and much more. This app is also easy to control and manage your smartphone. You can also backup your images in clouds. Rotational large touch LCD screen. It has the ability to record high-quality videos. Higher ISO allows taking low light photos without using flash. It comes with a newly developed APS-C sensor. Apps help you to find your best shooting style. Only NFC compatible devices can connect to this camera. If you are willing to shooting underwater vlogs then this camera is not suitable for you. Finally, this Sony Vlogging camera with flip screen can be a great choice if you are a professional vlogger. Also for the beginner, it can be a great camera to learn. With its autofocusing facility and camera apps having one-handed operation facility it has become very popular recently among vloggers. in the nutritional supplement area.